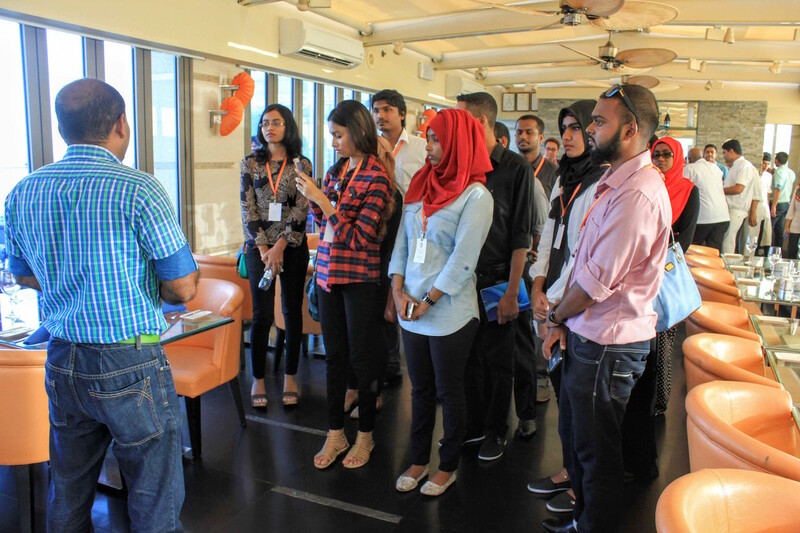 Hotel Jen welcomed a group of curious and enthusiastic students from Clique College Travel & Tourism Malé for a private tour of hotel both front and heart of the house and valuable interaction session with hotel senior management recently in September. Raul Antiguera, Hotel Jen’s Training Manager who prefers to be called “Jhune” welcomed the visiting VIPs; introduced to senior management who ran a series of presentation introducing respective area of responsibility and what’s a day at work at Hotel Jen all about. Mr. Jhune briefed the students of Hotel Jen’s pride and commitment in giving back to the local community in various ways; in CSR activities, in awareness, youth projects including internship programs which are a vital exposure for “hands-on-experience” that boost chances when seeking employment. Maldives core economy is tourism hospitality and the opportunity to excel here is limitless for those who dare not only dreams but puts in the efforts. Jhune, added his brief with a note of appreciation and thanks to Clique College Lecturer, Mr Ahmed Riza for organizing this trip; giving Hotel Jen the opportunity for sharing knowledge. The visiting “young VIPs” were then divided into 6 groups; each led by appointed managers for an intimate tour of hotel, from lobby to outlets to guestrooms to spa and then to all areas not seen my guests such as kitchens, linen rooms, workshop, staff areas, offices, etc. The VIPs were treated for some tasty refreshment with Jen’s hospitality at Azur. Clique College lecturer gave an impressive appreciation expressing how much the students enjoyed the trip and how it had opened their eyes not only to what’s Hotel Jen is all about on the inside but what it takes to keep it going as the leading hotel in Malé to which all students cheered.